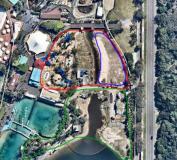 Beach Break Bay will permanently close on 20 April to make way for a brand new kid’s area opening later in 2015. 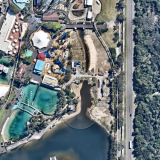 The expanded multimillion dollar precinct will feature Sea World’s first ever mini rollercoaster plus an array of kid-sized rides. The fun filled zone will replace the current kid’s area and will include four brand new rides plus some of your favourites like the iconic carousel. Sounds good, but first things first, what's the source? When they say "Mini Rollercoaster", does anyone else get a bit of a "Wacky Worm" vibe? I wonder if they will keep the generic theme to the area or will they use their Nickelodeon licence? I'm hoping they use the Nickelodeon theme but keep the beach aspect as well. I'm surprised they did not build the kids area on Sea Viper's land cause tbh that would have been an ok replacement. ...so in the meantime, Sea World won't have ANY kids area, two roller coasters, a flume and some battle boats? In my opinion I would say that the new kids area will take up the red area, with the roller coaster taking up the blue area (Green area being COTD). I think it would be good if they did theme it around Nickelodeon, but as said the license won't last, so I think a neutral theme like what they have now would be fine. 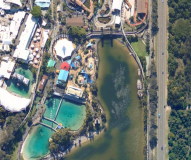 Interesting Wet'n'wild got a all new kids area last year, now SeaWorld, could movieworld be next in line next year to receive a all new kids area? But Movie World did get the mini driving school. So maybe that would count as there part. (Trying not to get off topic here) Speaking about kids area is it just me that Taz Bumper Cars have been shut for a while? If they demolished the Taz bumper cars and the Marvin Rocket Ride. MW could put a Junior Boomerang there. Movie World did just get a rather expensive and elaborate kids ride. It's good to see Sea World's kids area addressed, it's been looking rather sad for a while. The rumor mill suggests a pretty good collection of kids rides that almost border on family rides and are visually interesting. I think from a ride point of view though the parks more pressing issue is it's thrill ride line up. It needs 2 good thrill rides to balance things out. I would love to see this new kids area to implement some rides for all ages of the family. One thing that annoys me when I go to the parks with family is that the kids areas always feels a bit exclusive. Some family rides such as a chairswing couldn't go wrong. 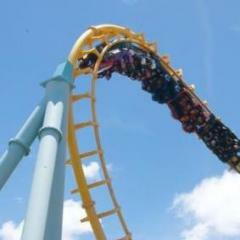 I hope the new rollercoaster could be a Jr. Boomerang, they are great fun. I kinda hope it's something like the new Octonauts Rollercoaster Adventure that recently opened at Alton Towers. Looks like a nice, fun, compact family coaster. While talking about theme. It is Sea World! Make it Sea animal themed. Make the carriages animal and make it relate to Sea World not a cartoon. make it relate to Sea World not a carton. I hadn't heard any suggestions of them theming the kids rides to beer, or eggs. Sorry it was a typo. The blue area is the reclaimed land isn't it? They could do a great kiddie coaster (zierer) in that area, not a wacky worm. I wish they would a small scale Verbolten, but realistically speaking that probably isn't going to happen. If the new kiddie coaster is a Zamperla kiddie coaster (like the one at AW) i will be required to burn the park to the ground. I do hope you're wrong about the 'total' area Magician - I think the children's area size is decent. If we're going to insert a new coaster - they're going to need a little more land - but it will be very disappointing if they use ALL of that area for the kid's section. SW's land is expensive real estate and the park can't afford to be wasteful with what they've got. I think we need to bear in mind that COTD isn't likely to be permanent - only 'long term'. If the Kids area separates the COTD area and the old SeaScrewCorkViper area, it removes the possibility of the park doing something 'large' next time. I hope the new area doesn't sever a connection between two large vacant plots of land. That said, the old viper plot would be my bet for the new children's area... it already has power and services run to it - it wouldn't take much to expand on that - whereas the reclaimed area is all virgin land. The blue area is the reclaimed land isn't it? I do hope you're wrong about the 'total' area Magician - I think the children's area size is decent. If we're going to insert a new coaster - they're going to need a little more land - but it will be very disappointing if they use ALL of that area for the kid's section. I hope they expand it. I was eating my fish and chips on the balcony of that restaurant and that kids' area was sooo depressing. 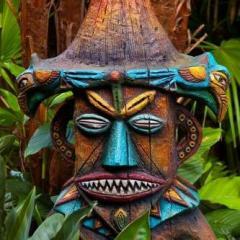 What about themeing? Currently I agree in saying that it looks really bland and depressing. I would love see it have a "Paradise Pier" esque appearance, but I think they might stick with the generic kids themeing.